How to Fight the Common Diseases During Rainy Days? Home \ How to Fight the Common Diseases During Rainy Days? The weather bureau warns us of more rainfall, and when this comes, it’s not just water that’s going to flood our lives, but also, diseases. There is one common factor about these diseases: it can be a pain to you, your loved ones and to your pockets. From simple prescriptions to complicated operations, there is no denying that these common sicknesses is also affecting our financial condition. The best thing to do is PREVENT and take immediate action against these diseases. Here are some tips to do it. Take vitamins, have a proper diet and of course, exercise. These three activities can enhance your immune system and increase your body’s natural fighting level against germs and harmful bacteria. Diseases can be caused by external factors like germs, viruses, bacteria and parasites. These microorganisms can be airborne or on surfaces. So, virtually, germs and bacteria are everyone, and you get in contact with them every moment, be it directly or indirectly. However, this does not mean you cannot do anything about them. The best way is to take a conscious effort to clean yourself and maintaining a hygienic environment. Taking a bath regularly can help wash off the germs and bacteria from your body and lessen the rate that you carry or transfer those disease-causing microorganisms to your loved ones. Clean your home, work area and your things regularly through application of rubbing alcohol (Doctor J Alcohol) or other cleaning agents can eliminate the germs around you. Clean your hands BEFORE and AFTER hand contact on dirty objects and other hands. This can prevent 80 percent of the most common diseases to be transferred (80% of Diseases Spread thru Hand Contact) like colds, flu, cough. Cleaning your hands after handling the knob, after coughing or sneezing and after a hand shake or holding the handrails on mass transits, can dramatically lower your chances of getting sick and even transferring the sickness to other people. Applying hand sanitizers (Puregel and Bactigel hand sanitizer) to your hands can kill 99% of the germs and bacteria as fast as five seconds. You come into contact to many people from your home, to public transport to your workplace, and chances are, during rainy days, more and more people are getting sick. This is where your consciousness can play a big part. A quick, easy access to alcohol or alcohol-based hand sanitizer can help fight off the bacteria and germs that may have come from contact to other people. 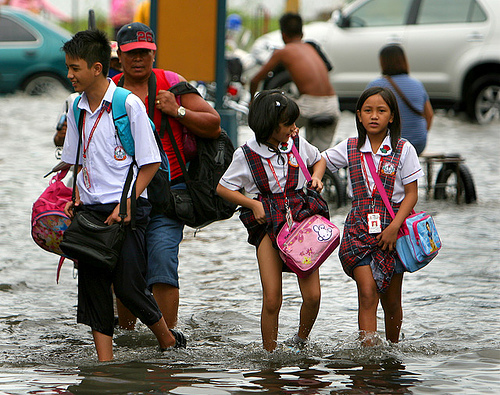 The flood water is a haven for numerous types of germs, bacteria and viruses. And there is no doubt that you can get many kinds of diseases – from skin irritation, diarrhea, leptospirosis and more. Prevent yourself getting soak in flood waters. That’s the first line of defense you can do. However, if you could not prevented it, cleaning your feet, legs and body is the next best step. Wash your feet with antibacterial soap and water, plus rinse your feet, legs and other affected areas with 70% solution of alcohol. 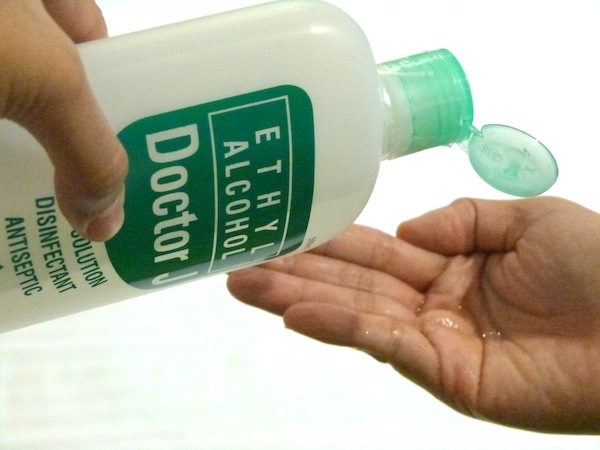 This kind of rubbing alcohol, like Doctor J Alcohol, can kill the bacteria and germs from the surface of your skin and can help fight any skin irritation and other harmful diseases. Drink water from reliable sources. If you are uncertain of the source, make sure you boil your water or better yet, just buy purified water. This can prevent you getting any harmful bacteria getting into your system. 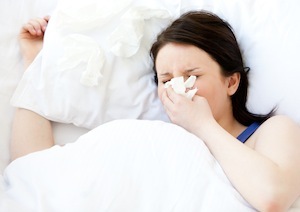 If in case the symptoms you are exhibiting are not out of the ordinary, and the necessary steps have been taken to address your sickness, then the most logical step to take is to seek medical help. It all boils down to keeping your body and environment clean, getting your body’s immune system up, and preventing any opportunity for germs, virus and bacteria to get into your body. Staying clean and disinfecting your stuff is one of the important things to do! Great tips here.